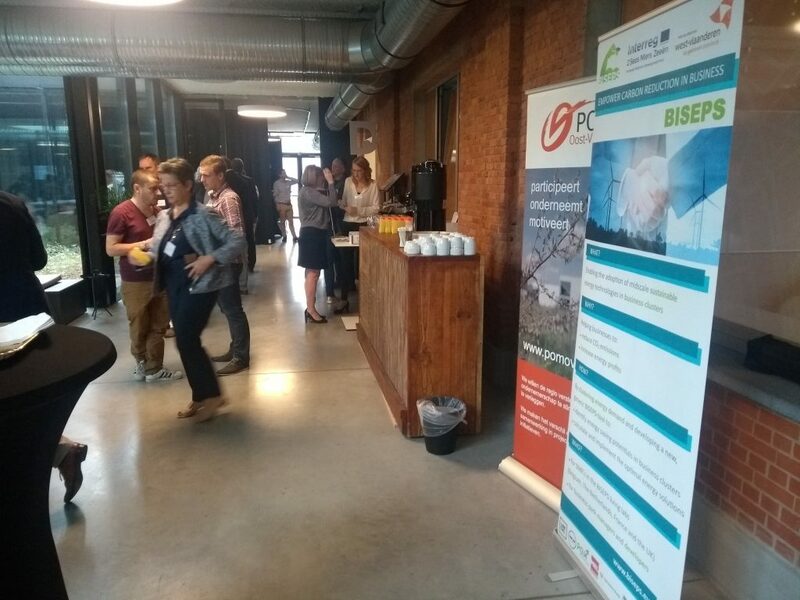 On 13th September 2018 the network event ‘Business Cluster Management’ took place in Ghent, Belgium. The event was organised by the POM Oost-Vlaanderen and Agentschap Innoveren en Ondernemen of the Flemish government. With almost 40 participants from East-Flemish companies, the event was a success. The theme of the event was how cooperation among businesses is the key to success for, among others, security, mobility, energy and financing. There were both interesting presentations and interactive sessions about cooperation. The BISEPS project was presented. Many participants were very interested in the further roll-out of the project and expressed interest in using the tool.